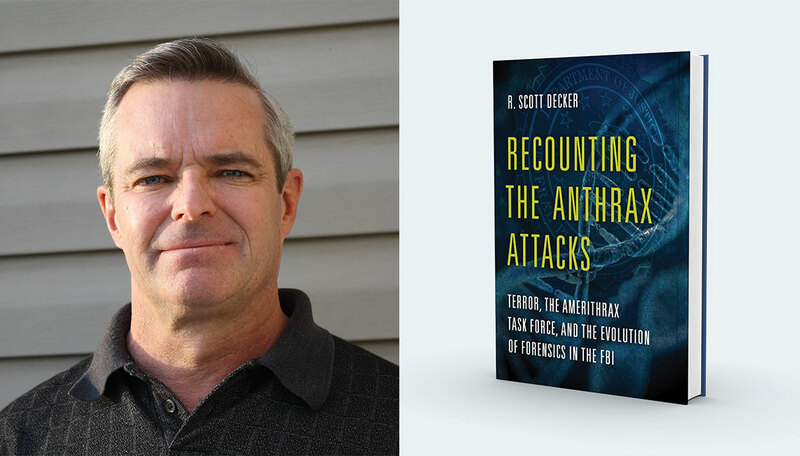 Retired FBI special agent R. Scott Decker (Ph.D. 1982) recounts his work on the anthrax task force in new book. This and other anthrax-laden letters confirmed what the whole country had been fearing: After the 9/11 attacks, there was now another threat looming in the form of bioterrorism. There had already been one fatality: a photo editor in Florida had died on October 5; five more would follow. The Senate intern survived. The FBI, already overwhelmed, now had to marshal even more resources to face this new threat. The agency created the Anthrax Task Force, and FBI supervisory special agent R. Scott Decker (Ph.D. 1982), fresh from leading a team of hazmat specialists at Ground Zero, soon found himself assigned to it. The FBI called the case Amerithrax. The letters containing anthrax had all been postmarked from Trenton, New Jersey, beginning around September 17. Mailed in two batches, the letters targeted New York media outlets, American Media in Florida, and lawmakers in Washington, D.C.
By late October 2001, scientists had isolated and identified the anthrax strain as Ames. It was housed in 16 U.S. institutions and three foreign ones, but narrowing the source any further was a daunting task. After searching for human DNA in the anthrax powder and coming up empty, Decker and his team looked closely at the spores themselves. That’s when an experienced lab technician named Terry Abshire spotted abnormalities while studying the spores under a microscope. The spores contained several mutations and the variants, known as morphs, could be used to determine the attack strain’s DNA code. From this, scientists realized they could get the anthrax’s genetic fingerprint. The only problem? They still had to find the “fingerprint’s” matching pair. Decker and his team requested anthrax samples from labs across the country, painstakingly working to match the DNA of the attack spores. They discovered a match to a flask of liquid anthrax labeled RMR-1029 in a lab in Fort Detrick, Md. But who had access to the liquid, and who had the expertise to dry it into a powder and mail it, were still unknowns. While Decker is convinced Ivins was mailing the anthrax letters, not everyone agrees. Henry Heine, a research colleague of Ivins at Fort Detrick, said it wouldn’t have been possible for Ivins to create the anthrax in the lab undetected. Other experts argue that the level of skill required to create the anthrax powder far exceeded Ivins’ capabilities. Ivins committed suicide in July 2008, preventing the case from ever going to trial, and a Frye test — a method of determining the admissibility of scientific evidence in a case — was never completed. And while there wasn’t a trial in the case, Decker feels good about the work his team did. The FBI now does background checks on employees in anthrax labs, and lab surveillance cameras are nearly ubiquitous.